This weeks Student of the Week is Amberlynne VanDusen she is a Graduate Student at East Carolina University, and receiving her Masters of Science in Environmental Health next month. 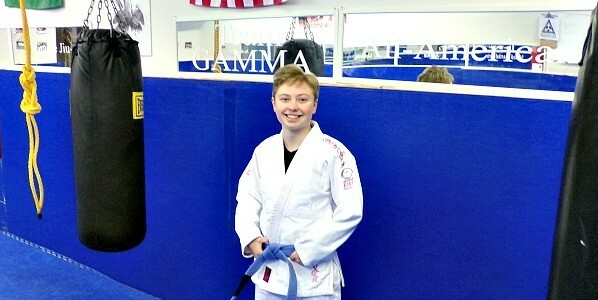 She just recently received her Blue Belt in Gracie Brazilian Jiu-Jitsu. 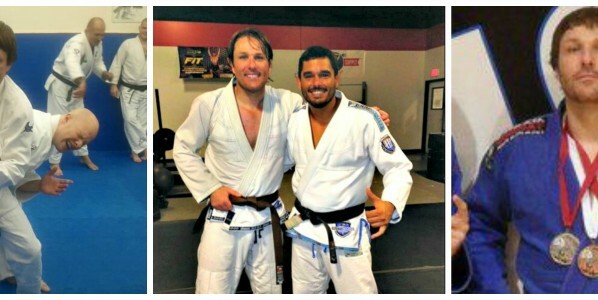 And have taken to the Jiu-Jitsu Lifestyle. There are very few days in the week she does’t make it to the academy to train.Here is what she had to say about training with us. This weeks Student of the week is Brandon Gorman. He is a dedicated father and husband. 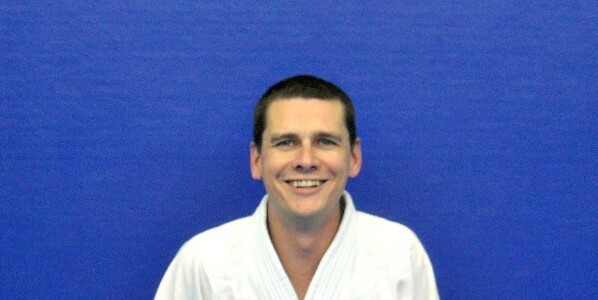 Both Brandon and his wife are college professors, Brandon at UNC chapel Hill and his wife at East Carolina University. Here is what he had to say about training with us. I had walked by the gym many times, and it always intimidated me a bit. And that is what compelled me to try it—the fear of it. Any time I discover that I have a fear, I have to conquer it; I have to overcome it. I called and scheduled a free trial class, and when I came in I was very reluctant to get on the mats—the fear was still at work. I just wanted to observe. I remember thinking that I wanted to see how badly they beat each other, and that if they hit each other in the head a lot, I would not do it. I was not interested in losing any brain cells. Of course, James (the owner of the gym) managed to convince me to put on a gi (the uniform worn by Jiu Jitsu practitioners) and to give it a go. He was just too nice about it, and I could not say no. I was surprised: there were all kinds of people in the class: young, old, male, female, doctors, teachers, mechanics… even folks with various disabilities were there. The class was relaxed and very enjoyable. I remember noticing how focused the instruction was on proper technique, and on NOT using strength. We learned self-defense moves, as well as some grappling moves. No one got bashed in the head at all, and everyone smiled a lot. It was easy to meet everyone and make friends. It turned out that there was nothing at all to fear. After the class, everyone got to “roll,” which is partnered practice for the techniques taught in the academy. This was going to be the real test, I thought. I will see if these techniques really work. I should mention that I have always been in good shape, I spent five years in the Marine Corps, and I’m over 6 feet tall. I expected to impress these folks with how well I did, so when I was partnered with a scrawny, 115 pound blue belt who seemed very shy, I almost felt insulted. What is more, I was worried that I would hurt him—after all, I was much bigger and stronger than him. We shook hands, as is customary before “rolling,” and then he proceeded to fold me up into a human pretzel. I had to tap out. To add insult to injury, he did it in about 20 seconds, and without a single groan of effort or a bead of sweat on his very relaxed brow. I was sold! I had to learn how to do that! My daughter had begun to seclude herself and not go out to play anymore because of the children in the neighborhood threatening her but since attending classes at the All American Martial Arts Academy, she has began to go back out to play. All American Martial Arts Academy has played a crucial role in allowing my wife with whom is visually disabled and suffering from M.S. To participate in an activity that not only allows her to be more active and healthy but maybe more importantly has given skill and confidence to defend herself should the need ever arise. Now my son is receiving the same instruction which is giving him the same confidence at school allowing him the opportunity to focus more of his attention on his schoolwork. I have 3 boys that is in the Jiu Jitsu and MMA class. It has taught them stamina, patience and confidence. They’re very ambitious. The class has taught them order. My children at one time was bullied but not anymore. Now they can stand tall. I personally love the school, they’re family oriented. Also the school gives them the gift of concentration, focus and consistency but primarily it helps them train for becoming better people. 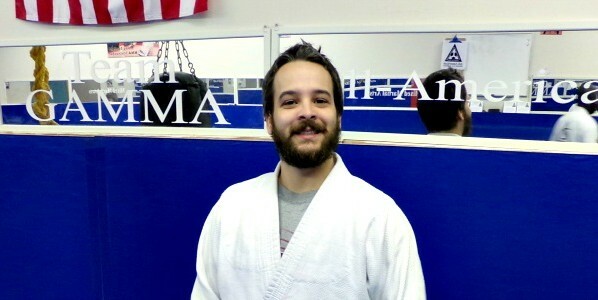 Thank you for the wonderful teachers that are at All American Martial Arts Academy. My Daughter loves All American Martial Arts Academy. The teachers are wonderful and give personal attention to students that you would not find in a larger gym. I feel they care about each student and strive to teach them to the best of the students ability. The gym has a competitive atmosphere, but also teaches to all levels of ability. My son is a shy person and he wasn’t very social, after two months in All American Martial Arts Academy his confidence grew. He is starting to make some friends and he is showing a friendly personality now. Thank you Mr. James for showing and teaching him self confidence.